After several adidas NMD Hu releases over the past two years, Pharrell and the Three Stripes are switching directions with a brand-new silhouette: the Solar Hu Glide. 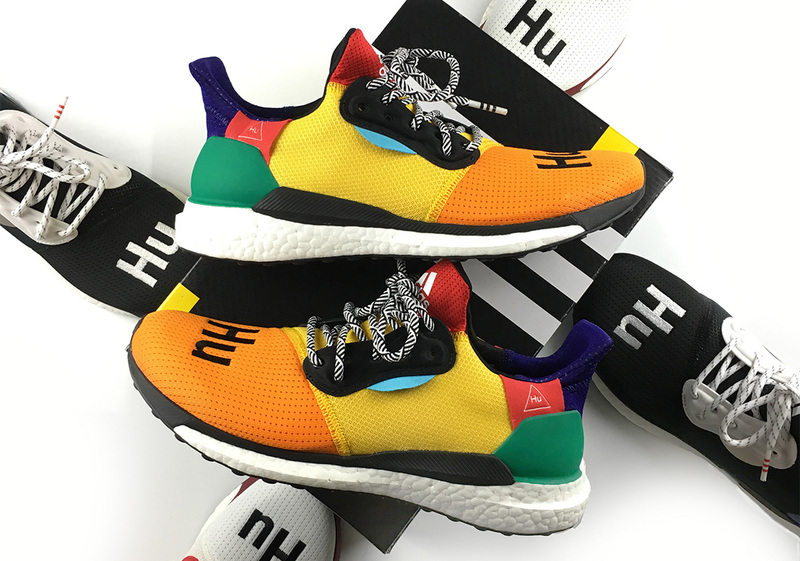 Offering a shape that’s more Ultra Boost than adidas NMD, each shoe features a patchwork-style mashup of textured panels and bold colorblocking, with large embroidered Hu hits adorning the toebox. It wouldn’t be a Pharell shoe without plenty of little details too, and the Solar Hu Glide offers those in spades with its patterned laces, plastic heel cage, and small Hu triangle hit on the collar. Arriving in three different colorways — one bright, two more toned down — the silhouette represent an interesting new step for the long-term collaborative partners, and will undoubtedly become a favorite of Trefoil Brand lovers worldwide when they release September 8th. Check out our unboxing of all three shoes below, and be sure to subscribe to the Sneaker News YouTube channel for more unboxing videos and original content.